Can an FBI agent who has no engineering background provide expert testimony about a cellphone location? That was the central question posed to a Tennessee judge who is presiding in a Knox County murder case. Norman Clark is charged with the first degree murder of his former girlfriend, Brittany Eldridge. He is also charged with causing the death of Eldridge’s fetus. The evidence against Clark is circumstantial. Eldridge was stabbed to death with scissors. Police say that an impression in the blood on Eldridge’s shoulder matches the shape of an earring that Clark was wearing on the day after Eldridge was killed. Clark’s fingerprints were also found in Eldridge’s bedroom. Since Clark was Eldridge’s former boyfriend, however, the presence of his fingerprints adds little to the case. The police tested more than 20 DNA samples that were apparently recovered from the crime scene but none belonged to Clark. The strongest evidence against Clark is the claim that his cellphone was pinged in the area of Eldridge’s apartment at the approximate time of her death. The tower that recorded the “ping” is near Eldridge’s apartment. The critical question is whether the same tower could have recorded the “ping” if Clark’s cellphone was in his own residence. 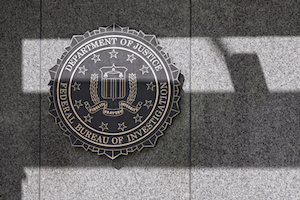 The prosecution plans to call FBI Special Agent Kevin Horan as “an expert in cell phone tracking and analysis.” Horan is a part of the FBI’s Cellular Analysis and Survey Team. His duties include helping state and local police departments by mapping coverage areas. His analysis relies on the assumption that cellphones usually connect to the closest tower because the closest tower usually has the strongest signal. Horan’s opinions are largely based upon information provided by cellphone companies and industry engineers, but he does not have an engineering background. the expert’s reasoning and methodology were properly applied to the facts at issue. The supreme court emphasized that the trial court’s job is to focus upon the reliability of the methodology rather than the reliability of the conclusions the expert has drawn. The latter determination is for the jury to make. Prior to McDaniel, Tennessee followed the Frye standard, which rejects expert testimony unless it is “generally accepted” by the scientific community. The McDaniel decision adopted a modified version of the standard that the United States Supreme Court adopted in the Daubert decision. While the McDaniel decision suggests that Daubert is a more relaxed standard than Frye in the sense that it should allow the admission of reliable expert testimony even if it relies on a methodology that has not been generally accepted, most commentators believe that Daubert is a more restrictive standard than Frye. The McDaniel decision made clear that judges in Tennessee, unlike federal judges, should generally trust juries to choose among competing scientific theories and to decide whether an expert’s conclusions are credible. The trial judge’s limited role is to assure that the expert’s opinions are based on a valid methodology rather than speculation. Given the emphasis that the McDaniel decision places on the jury’s role in deciding contested facts, it is unsurprising that the trial judge ruled that Horan’s testimony is admissible. It will be up to the jury to decide whether Horan’s conclusions are reliable after listening to his testimony and the testimony of any defense experts who challenge his methodology. Even under the federal Daubert standard, the result may have been the same. A federal judge who considered a similar issue involving Horan’s testimony in a federal criminal trial concluded that Horan’s methods were sufficiently reliable to meet the Daubert standard, notwithstanding legitimate questions that the defense raised about limitations in his analysis. Those limitations, the judge opined, went to the weight the jury would give his testimony, not to its admissibility.